By now, it cannot be denied that thanks to social media, influencers and key opinion leaders in Hong Kong, the mainland, Japan, South Korea, Singapore and throughout Southeast Asia, are an integral part of the fashion, beauty and lifestyle landscape. While each of us can easily identify our favourite celebrity or the biggest of influencers, very few have dared to define what truly makes an influencer, influential. After all, not all digital influencers are created equal. Aligned with our vision to unabashedly pursue the cutting-edge in digital luxury, we’re moving forward with a new list and breed of legends, game changers, tastemakers, disruptors and instigators, who are leading from the front and shifting the aesthetic paradigm with their digital exploits. This is no ordinary list. 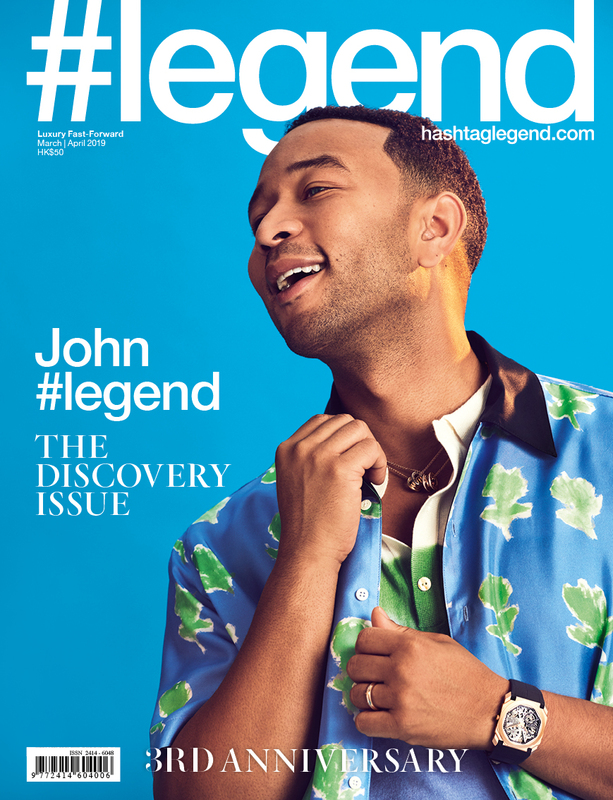 The Legend 100 pushes boundaries in an attempt to understand what being influential means in this digital age, where trends and degrees of individual clout can change in an instant. With the help of analytics company Lamplight, we’ve used data and technology to help find and rank key influencers driving trends in fashion, beauty and lifestyle across the region. Also featured in our list are a number of micro influencers, individuals who may have a smaller following, yet they are incredibly passionate and authentic voices that resonate strongly with their fan base. Daring to push the envelope even further into completely uncharted territory, we’ve used Lamplight’s most recent influencer technology and advanced algorithms to attempt to predict future influencers, individuals who appear destined to rise in influence according to social media data and analytics. The Legend 100 is comprised of individuals who influence fashion, beauty and lifestyle. It is not a listing of celebrities with large Instagram followings, but individuals who have built their influence primarily through online channels rather than traditional media and entertainment. We established parameters to help determine our influencers. Data was collected from October 1 to January 13 and based on Instagram posts made only during that period. We did not simply account for the number of followers or likes, but placed the emphasis on engagement, or how interested the influencer’s fan base is in interacting, commenting or sharing influencer content. The level of interaction was measured in terms of engagement with Asian followers. Focusing on engagement also helped us to eliminate accounts that underperform, with inflated follower counts that do not translate into a commensurate level of resonance. In this respect, #legend also took a holistic approach to the project, combining our editorial judgment and insight with hard data. As this list is an ongoing exercise in management, tantamount to monitoring the stock market, we intend to update the rankings of The Legendex 100 on a quarterly basis. We therefore invite you to monitor the movements of our stock and the social media market’s performance at our digital platform, hashtaglegend.com. Aimee Song’s blog, launched in 2008, receives more than 2 million page views a month and she has 2.2 million followers on Instagram. She blogs about lifestyle, fashion, travel, and runs jewellery and apparel brands. The voice of K-Beauty inspiration, Hye-Min Park is the make-up artist to K-Pop star CL, has more than 600,000 YouTube subscribers, has authored four beauty books and is ready to launch a make-up line called the Pony Effect. A fashionista and comedian, Watanabe Naomi has been called Japan’s Beyonce for her impersonations of the singer. She has a fashion line, Punyus, that translates as chubby and 1.38 million followers on Twitter. Former stylist Chriselle Lim launched thechrisellefactor.com in 2011 to document her own style and her YouTube channel empowers and inspires women all over the globe. She has worked with an A-Z of luxury brands and was named Blogger of the Year at the 2016 Bloglovin’ Award Show. Filipino fashion blogger extraordinaire Bryan Grey Yambao has featured on America’s Next Top Model, had a bag named after him by Marc Jacobs called the BB Ostrich, and he contributes to #legend – as does No.41, Tina Leung.